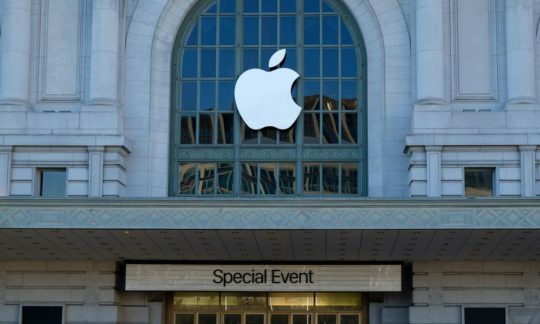 Apple’s September event, considered as the holy grail of events by serious Apple fans and industry pundits unfolded today at the Bill Graham Civic Auditorium in San Francisco. After many months of numerous rumor cycles the iPhone 7 is finally here and is scheduled to be available on Sept 9th. Going into this event, Apple fans were expecting a new iPhone and a new Apple Watch. 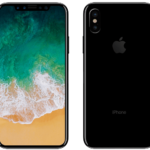 Although the Apple community had been primed over this year to not expect a top-notch iPhone till 2017, the precursor models released today did not disappoint the fans. The press badges for the event were black in color leading to speculation that there is going to be announcements around new space black color iPhone 7 models. It time to take a deep breath and see where we ended up at the end of the day! Apple announced two iPhone 7 models today. The basic iPhone 7 and the iPhone 7 Plus with two rear cameras and longest battery life ever on an iPhone. Three and a half millimeter, an eight of an inch developed into one of the most controversial measurements in 2016. The rumor that Apple was getting rid of the headphone Jack on its new iPhone 7 caused massive backlash from the Apple community. 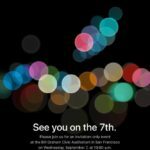 Heading into the Sept 7th event, there were still murmurs around what Apple might do about this feature. Well, Apple decided to do away with the headphone jack and provided new lightning alternatives to its fans. The auditorium went quiet when this was announced today. Apple will include an adapter in the new box that will help connect with older analog devices. Apple has improved wireless experience with its new Apple EarPods. These EarPods will work with your new iPhone and Watch Series 2. With a tap on simple connect button on the screen you will be connected to iPhone and Watch. The EarPods will feature a new chip called W1. Beats will also be showcasing new products using the W1 chip that you can use on the iPhone 7. It remains to be seen if this design choice on the part of Apple is going to be accepted by the fans moving forward. Apple has not shyed away from making dramatic hardware changes to its products in the past despite the backlash. Remember, Macs were the first computers to get rid of the floppy drive and we all survived! Followers of the iPhone 7 rumor mill got excited every time a space black or a blue iPhone image showed up on the internet. Some of these images looked pretty fake while others looked as if they were right out of the Apple’s Supply chain. Its settled now. 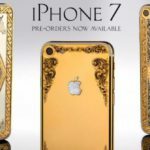 The new iPhone 7 will be available in the Black, Gold, Silver and Rose gold. No blue Colors on the iPhone 7 and iPhone 7 plus. All the speculation from sources such as KGI Securities finally have come true on this specification. Apple introduced the A10 Fusion processor today, 40% faster than its current A9 processor. This is expected to provide lightning fast iOS 10 experience on the new iPhone 7. The performance is powered by superior Graphics performance which is expected to better by 50% over the current A9 chip of the existing phones. The New 10 nm based processor along with the iOS is what makes or breaks the cell phone experience. If the device has a decent battery life, an excellent camera and a solid performing processor, you do have a winning smartphone model on your hand. Apple clearly has met its fan’s expectations with the new A10 processor. Expect a super fast iPhone on the 16th. If the iphone 6S performance left you speechless, the iPhone 7 speed is going to knock your socks off! Check mark on rumor. Lets move on and see if the 2017 iPhone 7 models will feature an A10 based on the 7nm technology instead of the 10nm. What do you folks think? Apple confirmed today that the new iPhone 7 models will start with 32 GB base models. Unlike the prior models, 16 GB variants will no longer be available in the new iPhones. 128 GB was the maximum memory you could get in the past on an iPhone 6S and the iPhone6S Plus models. Apple has doubled its memory offering in the new iPhone 7 models. 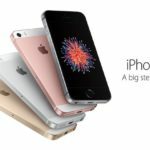 Users can now buy an iPhone 7 featuring 256 GB memory! 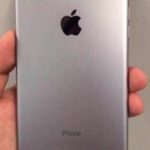 Rumors that the iPhone 7 will feature a larger battery have been around for sometime now. 9to5Mac reported that the iPhone 7 will feature a battery size that is 14% larger than the existing batteries of iPhone 6S. With recent battery issues reported for the Samsung Note 7 and the associated recall of the devices we were still wondering if Apple would make a bet and offer a different battery with new iPhone 7. Well, the new iPhone 7 Battery is going to be optimized for User experience. Longest battery life on an iPhone ever! When we discussed innovation, this was one area where Apple’s performance fell short of expectations. Samsung knew exactly how to rub it in with its ads showing an user writing on the Note 7 at the bottom of a pool. Apple’s fans have been expecting the new iPhone 7 to be waterproof for quite some time. Rumors around if and how Apple would achieve this have been plentiful in the past. Apple released that its iPhone 7 will have advanced water proofing features. The new iPhone 7 will be waterproof and dust proof! The iPhone 7 offers numerous exciting features. We just provided you with the highlights of some of the most important rumors and how they fared today at the event. To learn more about the new iPhone 7, please check out Apple’s own product detail page. Apple Watch Fans were not disappointed at this event. Apple released its Watch 2.0 at the event. The expectations from the fans were around two critical features. 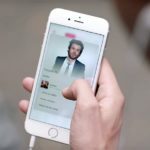 First and foremost, the users wanted a model that had superior battery performance and second they wanted a Watch that they could use without always using their iPhone. Apple showcased a new display for the new watch model called the Series 2. This will be the brightest display of any apple product. The new watch sports a much faster processor and performance. Users expecting a Cellular chip /LTE on the watch were disappointed from the event announcements. This feature would probably show up in later models. The Series 2 will however have built in GPS features and is surely to excite avid runners who use the watch to monitor their runs. We didn’t hear too much about the battery performance for the new units but are hoping that it will be unto standards to meet the performance needs required for the brighter display and watchOS 3 needs. Apple has partnered up with Nike to announce Apple Watch Nike Plus for its Series 2 Apple watch. Prices will start at $369 for the new Apple Watch Series 2. 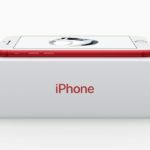 A Series 1 model will be made available for $269. The new Watch units will be available in September. Exciting and Interesting Times for Apple Fans! !